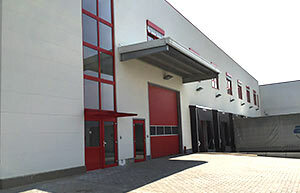 Últimas noticias desde el Systra GmbH, y el mercado de la logística europea. The German Forwarding and Logistics Association (DSLV), together with seven other transport, trade and industry associations, recommends the German Freight Forwarder Standard Terms and Conditions 2017 (ADSp 2017) as of January 1, 2017, for non-binding use. We are pleased to announce today that our company has been successfully certified ISO 9001: 2015, by the company DEKRA. With the ISO 9001: 2015 certification we underline our philosophy of quality and reliability for a high customer satisfaction. We may not be aware, but child poverty exists in our neighborhood. Every fourth child in Hamburg is affected. Today it lacks many parents to spend money on meals, clothes and toys. Girls and boys get a hot meal in the ARCHE as well as the special attention and care, the need of every child: this includes help with homework, leisure – and sportactivities, trips during the holidays. Socially disadvantaged children in the age between 4-12 years will be cared by experienced social educators. Teenager between 13-21 years get an age appropriate speech in their own building near to the kids´home´. In addition: many volunteer regularly involved to help these kids for example at the school support or with afternoon activities. The holistic concept includes also the communications to the parents and the assistance with problems in the families. The Systra Team made their delayed Christmas Party! 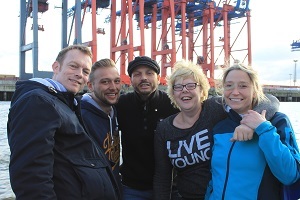 On 30.05.2015 the Systra Team boarded on an Elbbarge vessel for a 6 hours tour. At 4 pm the boat startet punctually with strong wind strength and swelling waters the Elbe in direction North sea. Most of the colleagues studied at first the buffet and the bar before they were prepered for boarding the outside deck. Later the water smooth down and all of us could celebrate a spectacular sundown in the middle of the great Hamburg harbour side. Most of us made the night into a day and made party from Komet up to Cafe Seeterrassen. All of us had a wonderfull time together. 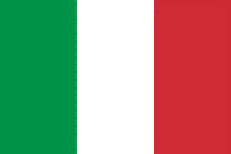 We started our new liner service between Italy and Germany beginning January 2015. ¿Tiene preguntas acerca de nuestros servicios, desea obtener una oferta o desea consultar algo sobre nuestras filiales? ¡Entonces, contacte con nosotros!